these fees. A student ID is required for students who are 18 or older. Buy Select Three tickets and save! 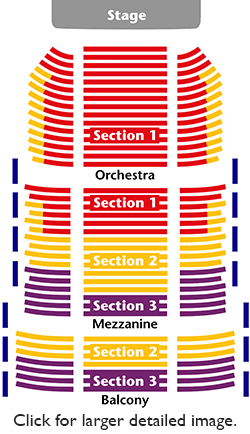 Select Three tickets for the 2018-2019 season are available now at the CSPAC ticket office, 937-328-3874. There are no ticket refunds. All sales are final. If you are unable to use your tickets for a performance, please call the Performing Arts Center Ticket Office prior to the performance to arrange to receive a letter of credit for tax purposes. » Group rates are available for parties of ten or more. » Gift certificates in any denomination, as well as souvenirs, are available for purchase. » Tours of the Performing Arts Center may be scheduled for your group. » When placing your ticket order, our Box Office staff will be happy to recommend convenient restaurants or areas of special interest in the neighborhood of the Performing Arts Center. » The Patron Driving Team will transport patrons who might not otherwise be able to drive themselves to concerts. Contact the Symphony Office for scheduling and information.